Are you thriving? How would you know? Thriving can mean different things to different people. You might thrive when the pressure is on to finish a project. Your friend might thrive when he can plan ahead and finish with time to spare. According to a 2017 article on the science of human thriving, thriving has many facets and may be different from person to person. The authors noted there isn’t a consensus on the definition of thriving within the scientific community. Instead, they offered their definition as the combined experience of development and success. Based on this definition, I can think of examples of thriving from my life. For instance, after I completed my MBA more than 30 years ago, I changed jobs and received a pay raise commensurate with the market value at that time. I felt challenged as I applied what I learned at work. The challenge plus salary increase were meaningful rewards as I built my career. If you’re doing challenging work that has the right amount of stretch, enjoyment, and success, you might feel like you’re thriving. On the other hand, if you’re coasting and doing well but not particularly enjoying it, you’re probably not thriving. If you feel depleted and the work doesn’t fit your talents and strengths, you’re clearly not thriving. From another perspective, you might notice that some parts of your life are thriving while others aren’t. For instance, perhaps you’re in a great relationship, but you feel lethargic about where you can contribute the most. Or maybe you feel energized about work, but you seek a meaningful relationship. The good news is that there are seven personal variables that can enable thriving. The even better news is that you can focus on and improve these variables. Your character strengths, 24 human capacities that amplify what’s best within you, like Curiosity, Fairness, and Leadership, can play a central role. 1. Psychological Resilience – All 24 character strengths, from Appreciation of Beauty & Excellence to Zest, can boost your resilience. 2. Motivation – Your signature strengths (top strengths) can enliven you to take action in your relationships, work, and play. 3. Proactive Personality – Bravery and Perseverance help you seek out challenges and overcome obstacles. 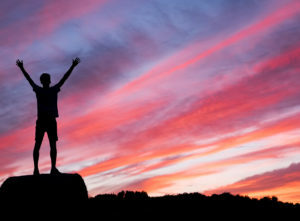 The other 4 thriving enablers include Knowledge & Learning (assisted by Creativity, Curiosity, Love of Learning, and Perspective), Social Competence (Social Intelligence, Love and Kindness, Leadership and Teamwork, and Fairness), Positive Perspective (Hope), and Religiosity and Spirituality (Gratitude and Spirituality). In other words, there’s yet another reason, among hundreds of research-based reasons, why you should practice and share your strengths wisdom with others: they’re key ingredients to human thriving. If you’d like to learn more about your character strengths or sharpen your character strengths skills, take a look at the sneak preview of what’s coming up for you in 2019. We’re going to be part of a study beginning in early 2019, and you’re invited to join in! This could be the inspiring opportunity you’ve been waiting for. Instead of wrestling with new year’s resolutions, why not kick off the new year with an investment in your personal or professional growth? The 6-week program is based on Jane S. Anderson’s book 30 Days of Character Strengths: A Guided Practice to Ignite Your Best, a workbook endorsed by positive psychology experts Tal Ben-Shahar, Ryan Niemiec, Margarita Tarragona, and others. To receive information and updates, make sure you subscribe to our newsletter at www.StrengthBasedLiving.com.